In our final part of our topic in tyre services that can help keep you safe and achieve the highest mileage from your tyres. 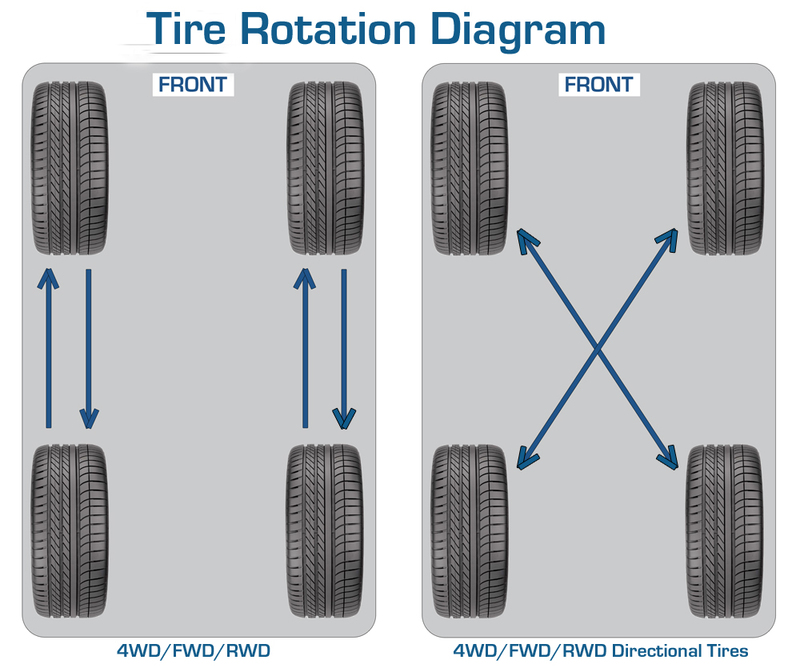 Tyre rotation is the practice of interchanging tyre positions to ensure the tyre wear is even across all four tyres. front tyres have the responsibility for transmitting acceleration, steering and most of the braking forces, it’s normal for them to wear faster than rear tyres. Rear wheel drive cars have rear tyres that wear out at almost the same rate as the front tyres but should also still be rotated for an even rear across the tyre due to possible uneven rear on surface of the tyre. This could be due to alignment or weight distribution of the car. Good tyre shops will inspect each tyre and give their professional advice on the wear rate of the tyres. Want to find good tyre shops in KL, PJ, Shah Alam, Subang Jaya and surrounding areas in Klang Valley? Use Carpit to find trusted tyre shops for a safer drive today! ← Part 2 : What is Tyre Alignment, Balancing and Rotation?